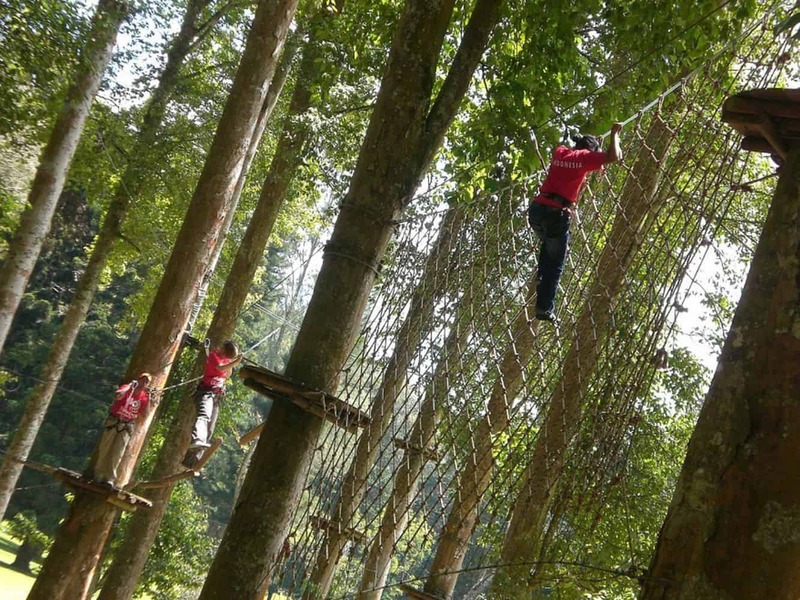 The Bali Treetop Adventure Park is an open air climbing obstacle course that offers fun activities for all ages! 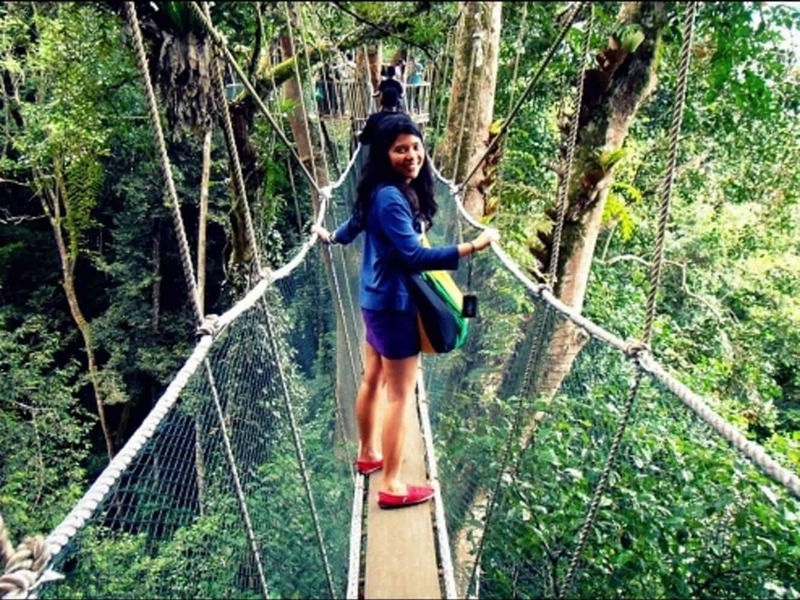 Located within the Botanical Gardens in Bali, visitors are treated to over 60 different challenges including flying swings, tarzan jumps, flying-fox, spider nets and suspended bridges. There are 7 circuits with 72 challenges across the entire park. There are courses starting from ‘easy’ through to ‘moderate’ and ‘hard’. So no matter your fitness or skill level, there will be a climbing course for you! Safety comes first and you will remain remain attached to a life-line support as you complete the circuits. There will also be staff members stationed along the circuit to assist you if you get stuck and to give support and guidance on tricky obstacles. 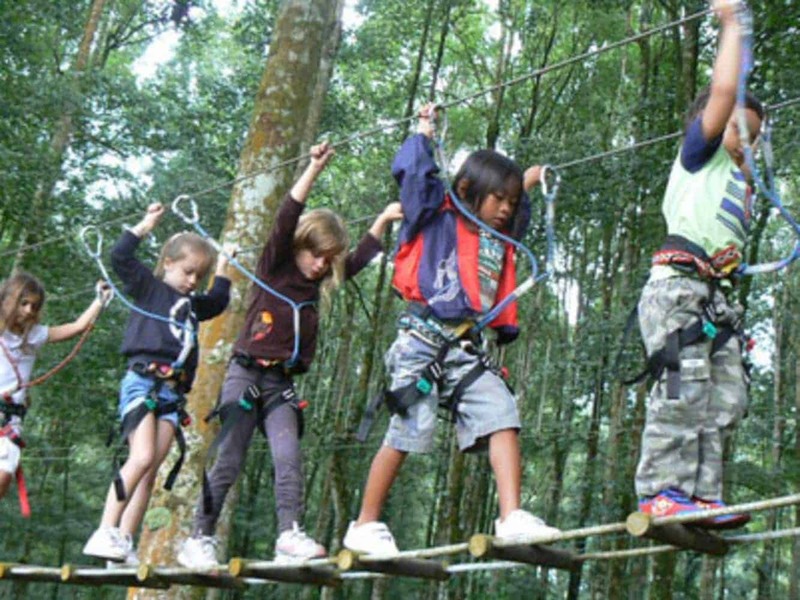 Bali Treetop Adventure Park is suitable for persons aged between 4-70yrs with a maximum weight of 120kg. 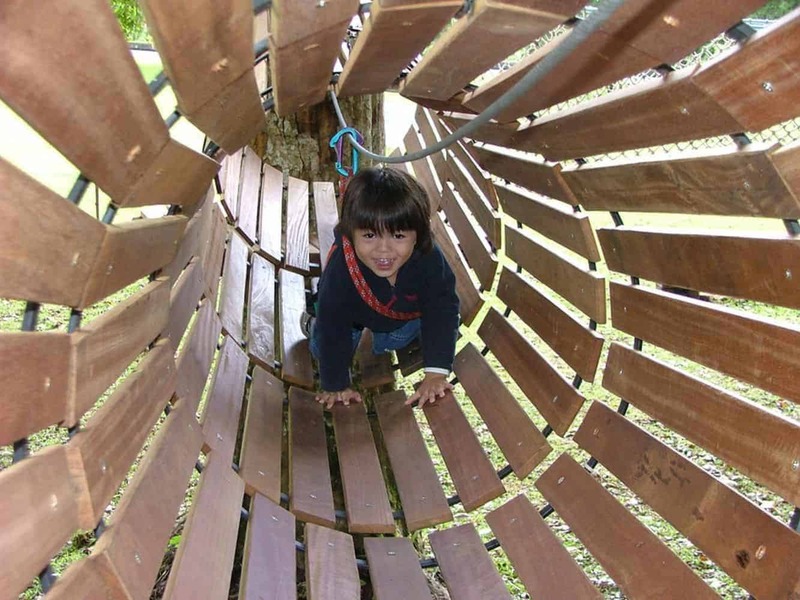 The adult circuits take around 2.5hrs and chidren on the Squirral Circuits will need around 1.5hrs.